Matamata Website Newsletter No. 158 Social Media Myths - Fact or Fiction? 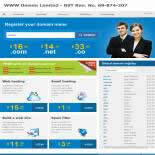 The site is simple to use and domain names can be registered or transferred in a matter of minutes. You don't need to be a WWW Design website client to take advantage of our bargain domain prices and it's free to transfer your domain to us. October Stats - 14594 Pageviews from 7696 unique visitors. Our most visited index pages, in order of popularity were: ENQUIRY - NEWSLETTERS - INDEX - NEWSLETTER 147 - CLASSIFIEDS - BUSINESSES - ACCOMMODATION - INFORMATION- ATTRACTIONS - NEW LISTINGS. Site of the Month is Stocker Horticulture & Hydroponic Supplies and they receive a free direct click through and feature image from www.matamata-info.co.nz to their website. 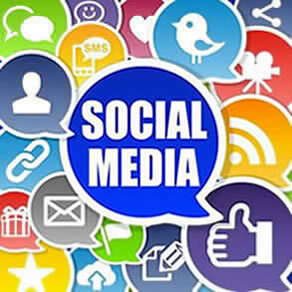 Social Media Myths - Fact or Fiction? It is possible that some myths are based on fact, but listed below are 10 top Social Media myths. 1. Social Media Is Just For Kids Or People With Too Much Time On Their Hands. Sure, there are plenty of kids and people with too much time on their hands using social media, but on the other hand, if you know how to use it, social media can be a very effective and profitable marketing tool. Using competitions and giveaways together with social media can be a great way to publicise your products or services to new potential customers. Including articles or videos on your website that have educational or entertainment value can lead to others sharing it on Facebook, Twitter or LinkedIn which may lead to it become viral and a price can’t be put on this type of exposure! 2. You Need To Be On Every Social Media Network. Rubbish! It’s not the quantity of social networks that you are on that matters, but rather how effectively you use the ones you are on. Make sure that you focus on effectively using one network before moving on to others. 3. Social Media Doesn’t Require Any Skills. Not true at all. Like everything in life, some of us are better at some things while others are better at something else. Experts make social media look easy, but it’s not everyone’s “cup of tea” and not something everyone can do successfully. 4. Face To Face Communication Will Be Replaced With Social Media. Baloney! People always have and always will prefer face-to-face networking rather than other types of communication. It’s part of our psychological make-up and why networking groups continue to flourish. Although the convenience of online networking is an obvious advantage, it will never replace our basic need for human contact. 5. Websites Will Be Replaced By Social Media. Absolute garbage! Websites are no longer a luxury – they are a necessity for any business or person promoting their skills. Remember that search engines are content driven and while you may have a savvy profile on various social media networks, it simply does not compare with having unique contact on your website. Social media network profiles are limited and have user guidelines which must be adhered to whereas you have complete control over the content you can use on your website. Also, a brand can be built far more effectively using a website rather than via social media. Be clear if you are blogging for fun or for profit before you start. You don’t need to take it seriously if you are not trying to generate an income, but if you are blogging to make money, you need to take it seriously, post often and ensure your content is interesting and/or entertaining to guarantee visitors return. This also means that you have to figure out an effective way to “monetise” your website to make it profitable. You can make money out of your blog by including affiliate programmes or banners, but better still offer a product or service yourself so that you make the whole profit, not just a percentage. 7. You Can’t Work Out How Much Money You Are Making Out Of Social Media. Only true if you don’t have the experience or know what you are doing. Professional marketers can easily track and measure the ROI from social media by using analytic software such as Google Analytics. Google Analytics is very advanced and can perform many useful actions and there are tutorials available online which will explain everything you need to know. 8. Social Media Takes Up Too Much Time. Social media can be used effectively providing you are well disciplined. Don’t get waylaid – simply log into the site – do what you have to do and leave – you shouldn’t need to spend any more than 15 minutes a day! Sure, it may be fun to “hang out” with your friends and socialise, but this is not using your time productively – there is a time and place for everything and if you are using social media to promote your business – don’t digress! 9. Social Media Has No Relevance To My Business. Yeah Right! Do you want to generate new leads? Increase traffic to your website or “brick & mortar” location? Build your brand? Improve your SEO efforts? 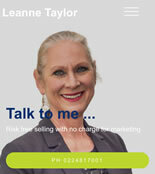 Offer support to your customers? Offer real-time feedback and support? Promote new products and/or services? If you answered yes to one or more of those questions, then social media does have relevance for your business. 10. All I Need To Do Is Create A Profile Page. If you create a profile page on a social media network and don’t promote it, nothing at all will happen. Like everything in life, what you put in will directly relate to what you get from it. If you want social media to work for you, it is vital that you regularly promote your profile page and energetically participate in the social networks you belong to.